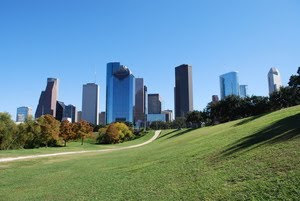 TrustVeterans.com - A Veteran's Take: Areas to live in Houston. When discussing new ideas for where to live in the city of Houston with my wife and family, a few specific areas always come up. The Galleria area, the Westchase area, and the Memorial area. All of these areas have a little something unique about them that make them appealing to a young couple with an average household income and a fairly small amount of debt. Things like outdoor recreation areas, family dining restaurants, and reputable child care centers are all attractions that cannot be missed by a young family. The areas are all a bit more on the older side but with that comes numerous benefits like classic architecture, mature trees, and ever increasing property values. With homes listing for $200K just a single block from homes listing for $1.1M, plus new businesses and restaurants, you have the right mix of city and suburb to help keep property values climbing. As a young Veteran, I think it is a smart thing to pay attention to investments within my local community. If we return home from the military and reinvest in our communities then we can ensure the growth and development we want for our children's children. We must take the skills we learned while at war and apply them to applicable situations in civilian life.